The list of phones under Rs.10000 is increasing day by day and the latest phone to join this list is the Intex Aqua Trend. Intex is an Indian company which makes budget smartphones offering excellent features. 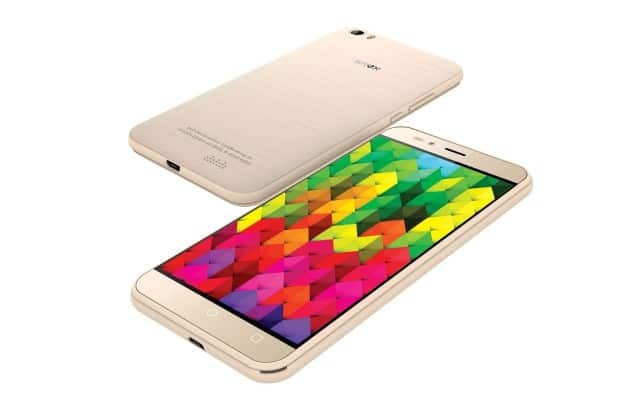 Intex Aqua Trend is priced at Rs. 9,700 and will compete against the big names like Asus ZenFone 2 and Lenovo K3 Note. Here are few pros and cons of the device which you should know before buying the smartphone. 4G Support on Both SIMs: A Rare Thing Found in Smartphones. The market is full of 4G phones these days and you can get a 4G smartphone at as low as 5000 bucks but, a dual SIM phone which supports 4G on both the SIMs are very less in number. Intex Aqua Trend is one of these phones so, if you wish to have 4G connectivity all the time with you, Intex Aqua Trend is a good option to consider. Many old Flagship phones are still waiting for their latest Android upgrade. We have Android M with us and there are people still waiting for Android L on their device. Well, no need to wait as you can get the latest Android with Intex Aqua Trend without any wait or efforts. Flip Cover: A Unique Design for Fast Access. You might have seen a flip cover with a circular cut out on the front so that the notifications can easily be accessed. The flip cover features white faux leather texture which gives a premium look to the device and also has a magnetic strip on it which can turn off the display. The best part about the cover is the circular cut-out in the front through which you can see the time, check call, notifications and can even control camera and music apps. You don’t even need to unlock your phone for doing so. Asus is offering ZenFone 2 Laser with Laser Autofocus at just 9,999 which has raised the bar in the field of the camera. Intex Aqua Trend do have bog numbers in camera but, they fail to perform in real life world. Picture quality is not as good as it could have been also the low light camera experience is not good. Definitely, not recommended for selfie lovers. When it comes to a smartphone, people wish to have a great looking phone but, Intex Aqua Trend do not fall in that category. The phone features a plastic body which is a big let-down for users who wish to have a good looking phone under Rs.10000. 5” HD Display, 2GB of RAM and a long lasting 3000 mAh of battery do lures the users but, at the same time, a weak 1.3 GHz weak processor and lack of good looks distract the users from buying this device. The device has got a good number of pros with few cons too. Now, its total your choice to go for it or wait for another device. You can purchase Intex Aqua Trend online on Amazon. Intex Aqua Ace Review: Good Stats, But Worth The Price?